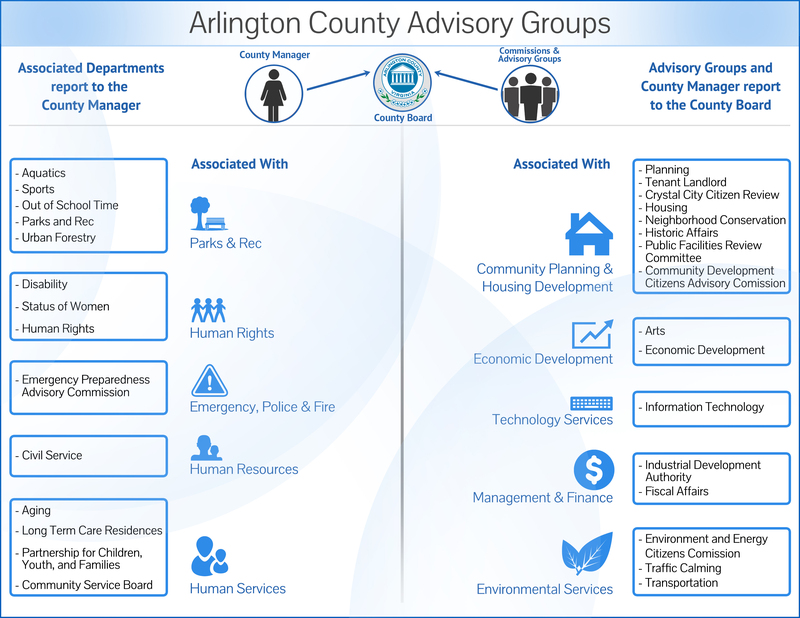 The Transportation Commission advises the County Board on issues related to Arlington’s streets, transit systems, pedestrian traffic, taxicabs and bicycles, as well as how each of these relate to the Master Transportation Plan. The commission was formed in 1972 and is comprised of no fewer than seven members and no more than 13 members. The members are appointed by the County Board to four-year terms, and the chairman is designated by the County Board annually. The commission generally meets at 7:30 pm in County Board Room 307. Watch on TV or online: Transportation Commission meetings are streamed live on Comcast Channels 25 & 74 and on Verizon FiOS 39 & 40. Streamed meetings can be viewed here during the meeting and are archived.